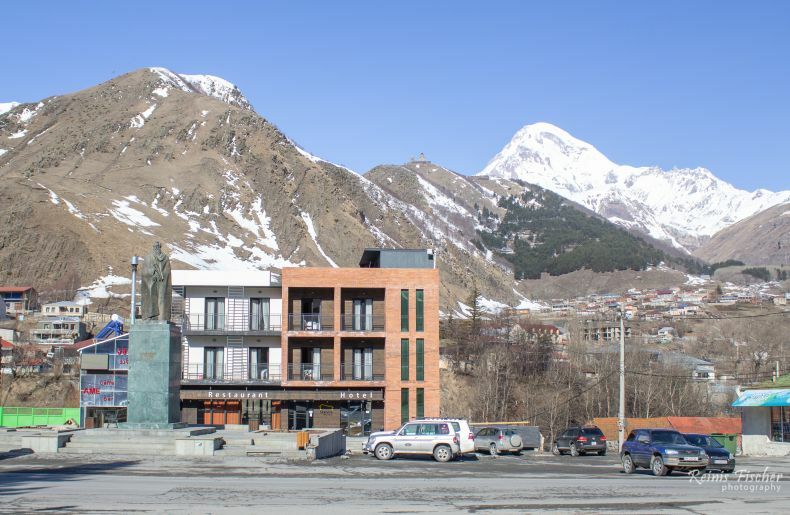 Hotel Stancia in Kazbegi is a great and cheaper alternative to the more stylish and lavish Rooms Kazbegi hotel. 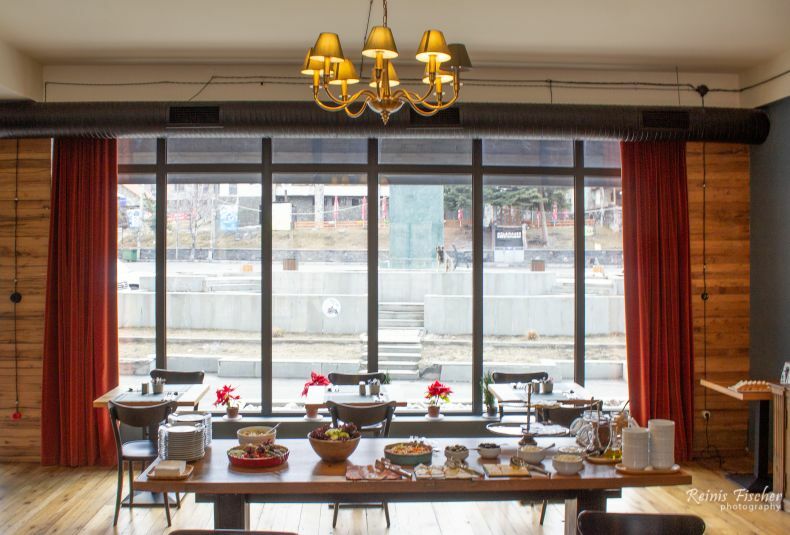 Featuring a garden and a restaurant, Stancia Kazbegi is set in Stepantsminda. Among the various facilities of this property are a terrace and ski storage space. The hotel also offers free WiFi as well as a paid airport shuttle service. 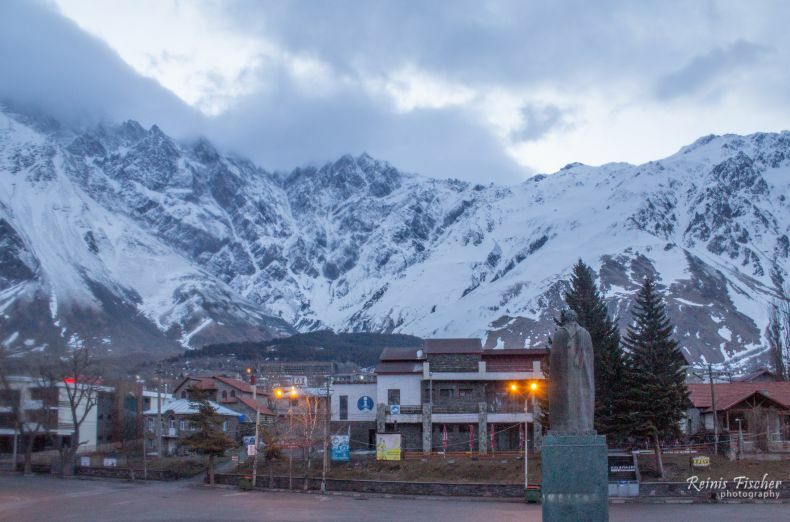 We booked Hotel Stancia in Kazbegi in early April 2019 and paid around GEL 150 (USD 56) for a one night stay, I should add that the listed price on booking.com was GEL 180 (USD 67) per night. By booking directly we saved USD 11. Nice. Not that I'm a fan of such a booking system, but as it was an unplanned stop in Kazbegi, seems like a nice little perk. At the hotel, all rooms have a balcony. The rooms are fitted with a private bathroom with a hairdryer. A decent, budget-friendly 3-star hotel, centrally located with free parking and kid-friendly. Wish there were more such hotels in Georgia.